Internally, we call it “3.0”. Externally, it’s the #NewFXStreet. And after a few hiccups and delays in the release, it’s here! The first meeting that led to our website redesign was a brainstorming about how FXStreet should evolve and what should be improved. It was in February 2014. We made a big list that is still pinned on a door in our main meeting room. This list of needs and goals was so long and requested so many profound changes that the only way to fulfil them was to do a total “reset” by using a new backend and frontend structure for FXStreet. We needed to be more flexible and our systems were not offering this necessary freedom for our team to innovate, run continuous tests and swiftly adapt to new challenges. That’s when the decision was taken to make a profound reform that would be the version 3.0 of our website. It took a few months to define all players’ needs, survey users, explore solutions and prioritize opportunities. Everyone in the company was involved and different working teams were built depending on the matters being developed: usability, backend platform, software tests, navigation, content selection, layout, advertising solutions, etc. In the early stages of the project, our UX expert realized a “card sorting” test (online and offline) to validate the architecture of the website as we had defined it internally. Around 60 users were asked to group content items of our website together and then give a name to this group of items. Different feedback shed light on unclear labels and also confirmed our view that we needed to reduce the number of sections and subsections. It was a useful approach to determine the menu structure and navigation paths for our news website. In February of 2016, we finally had a beta version of our website that we started and showed to users to collect feedback. So many months of hard work passed by and the people we built everything for told us what they think! It was quite exciting. 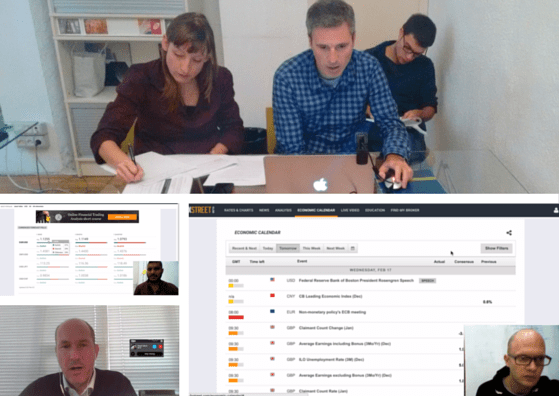 We did what is called a “tasks test” with 17 users, from different backgrounds, countries, ages and experience levels. Some went to our office, others did the test online through Skype. They all had the same 11 actions to perform on the new website (looking for information) and we observed how they resolved them and took note of all their comments. The feedback was overall very positive so we decided we could go on with the site as it was, taking into account the most frequent feedback and fixing all the bugs that were still pending. In March, we started to link to the beta site from a few pages of FXStreet, in order to get more feedback through an online chat and an online survey. On April 5th, the beta site started to fully co-exist next to the usual website, with all news, webinars and reports updated on both versions. We made a switch on April 16th: that day, if you’d go to www.fxstreet.com, you would see the new version of FXStreet. Everything worked fine during approximately 48 hours, when the website became unstable. Our IT team worked hard to fix it but the problem (related to database workload and concurrent users peaks) was too big so we decided to revert to the old site until we could assure our service would be stable and work smoothly – our priority was and always is to offer the best service possible to the traders, and if we were not able to do it, we should take a step back. Our team ran many tests under many different circumstances to make sure the site would function and be reliable in any condition. The final switch took place on May 12th. 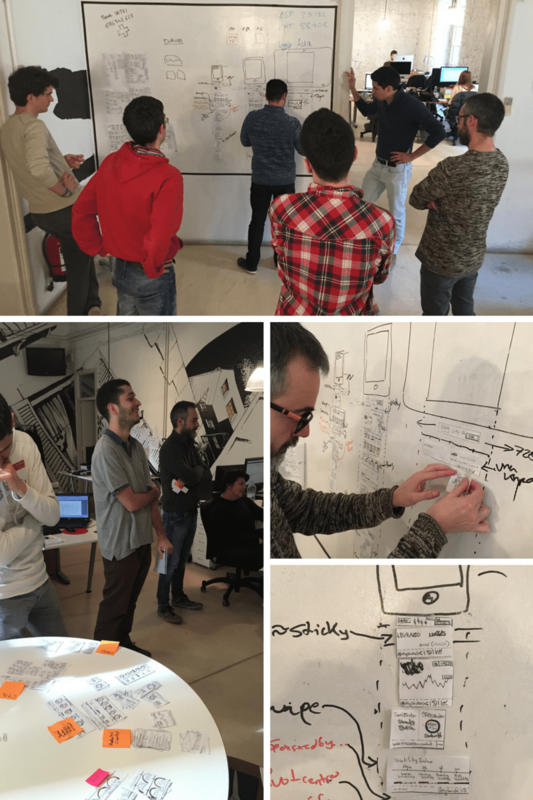 From day 0 to the launch-day, our team went through many meetings and working hours. The department managers of FXStreet look back at the redesign process and release and share their thoughts on the whole adventure with us. The biggest challenge? Setxi, COO, Pere, Head of Content, and Pol, Product Manager, agree that it was to decide what to keep and and what to remove from the old website: “Should we focus on A and discard B, or viceversa? You cannot have it all, and you need to understand which content and features will have the greater impact on your followers. Deciding which sections of the old site had to disappear based on the resources available was the hardest part”, explains Pere. When asked what they would remember from the whole experience, everyone has a different memory: the numerous meetings for Pol (“all the meetings and stand-ups with all team members to find consensus on how every feature of the new website would be”) and Sergi (“I will remember all my Managers meetings since I landed in FXStreet a year and a half ago, the first discussion point of the session was always “web 3.0 status”. I thought this was never gonna change and now it’s here, and we do not have it as the first item of the list, and I kinda miss it now” ); the evolution of the redesign for Setxi (“the many versions that have been on the table and studied from the first one until the definite one”), the intense work for Pere (“the final rush and the commitment to the project from all the team”) and the learning process for Javier (“the things we have learned in the process of deploying a website from scratch and the people working on the project made this experience beautiful” ). Many decisions have been taken, many novelties introduced. What particular feature of the new FXStreet are they the most proud of? Technically speaking, there is an unanimous answer: Pol, Setxi and Javier all think the infinite scroll and its transitions are a complicated feature that has been successfully implemented: “This is an interesting concept, designed from the beginning for mobile, that we created to improve the interaction with the user and ease the content consumption,” explains Pol. When you look back at such an intense project, the whole picture might give you a different perspective on things and you can assess the process and decisions under a new angle. That is when you can ask yourself, if there were a “next time”, what would I do differently? Setxi humorously answers: “there will be no next time if I want to keep my heart beating”. For his part, Javier observes that “all in all, I would not change so many things, maybe try and be more agile and lean”. 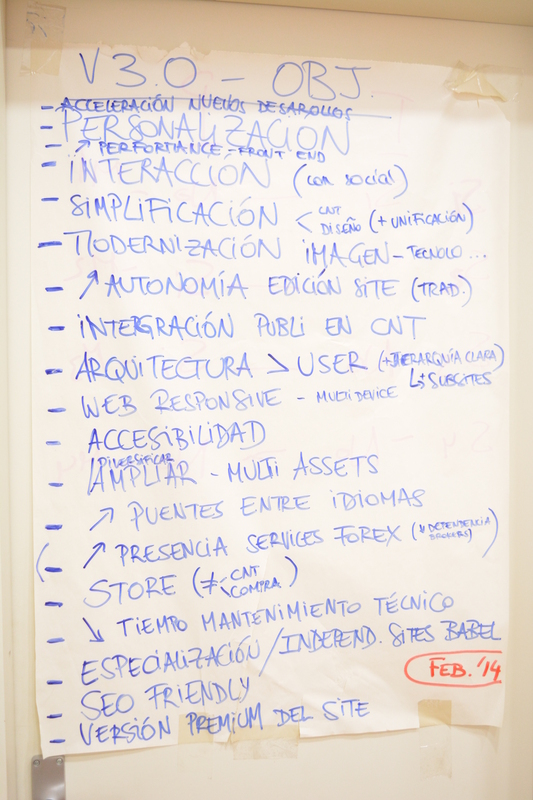 Pere and Javier mention one same idea: involve users more during the whole process. “All we do here at FXStreet aims to better serve our users. You need to listen carefully and figure out what they really want. We have done so, but you always have the feeling that you could have listened more”, says Pere. “But of course this is an easy thing to say after doing the whole project,” reckons Javier. Have a look at a selection of pictures of our team working on the New FXStreet – move your mouse over the image below and click on the narrow at the right to flip through the album.